Obituary for Fr. Vincent Joseph Youngkamp | George C. Lima Funeral Home, Inc.
Father Vincent Joseph Youngkamp, 86, a Catholic priest with a heart for the people of Japan, his family and friends, died April 4, 2019 in Providence, RI. Born in Smithton, Missouri he was the son of the late Joseph and Margaret (Judge) Youngkamp and grew up in Sedalia, Missouri. Father Vince (Vinnie) grew up in Sedalia, Missouri and after elementary school attended a local seminary in Missouri. 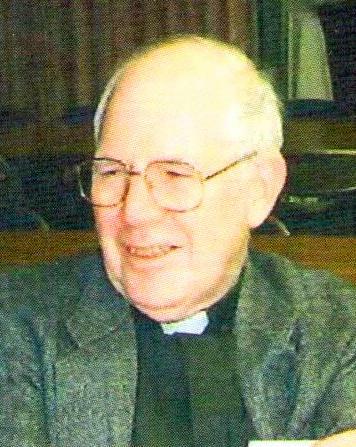 He joined the Society of St. Columban in 1953 and studied in Rhode Island, Massachusetts and Ireland. He was ordained a priest on December 19, 1959 and was missioned to Japan. He humbly served the Lord as a missionary priest throughout Japan for over 45 years. While in Japan, he worked in many ministries including parishes, schools & the Columban leadership. He cherished working with families & children of all ages, as well as prisoners, migrants and marginalized workers. He truly was a “good and faithful servant for God’s people”. He returned to the United States permanently in November of 2006. He served parishes in the Jefferson City, Missouri area until his full retirement in May of 2013. He resided at The Columban Fathers Retirement Home in Bristol, RI until his death. Fr. Vince is pre-deceased; his sisters, Mary Margaret Weber, Josephine Hudson, Imogene Murphy and his brother John Youngkamp; as well as 6 brothers-in-law. He is survived by his sisters Dorothy Rosenberger of Kansas City, Missouri and Patricia Kane of Bloomfield Hills, Michigan plus 21 nieces & nephews who thought he was “the greatest”. Calling hours for Fr. Vince will be held Sunday, April 7th, 4 – 5 PM, at the Columban Fathers Chapel, 65 Ferry Road, Bristol with a Memorial Mass celebrated, Tuesday, April 9th, 11:30 AM at the Columban Fathers Chapel. A Mass of Christian Burial will be celebrated on Thursday, April 11, 2019 10:30 AM at St. Thomas More Parish, Kansas City Missouri with internment in Crown Hill/Calvary Cemetery, Sedalia, Missouri. Arrangements are by the George Lima Funeral Home.